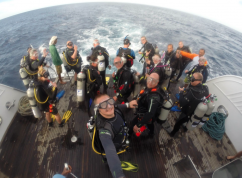 Established over 28 years we truly are the only one-stop dive centre in Dorset, catering for new and experienced divers alike. 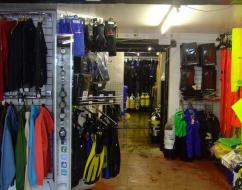 Our friendly, expert staff are more than happy to help with all your diving requirements. 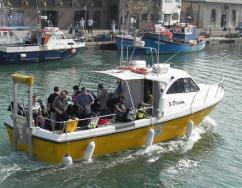 Weymouth itself is renowned for its wealth of marine life, and its numerous wrecks (some 120 within a 20 mile radius) attract divers from all parts of the U.K. 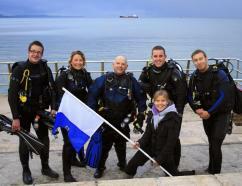 Diving is possible all year round, due to the sheltered location of Portland Harbour. The diving suits all levels of divers, from those on their first sea dives, through to the technical divers diving to below 40 metres. Diving outside the harbour limits is at its best from April through to September. Wrecks include submarines, U-Boats, freighters, warships, passenger liners and cargo vessels. Depths of the wrecks vary from 10 metres to 50 metres plus. 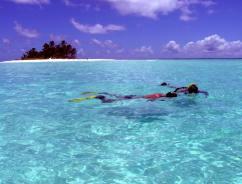 The wrecks provide ideal opportunities to explore our maritime past, or to enjoy the aquatic life that wrecks attract. Marine Life you can expect to see include: Bib, Pouting, Pollock, Ballan Wrasse, Corkwing Wrasse, Blennies, John Dory, Dog Fish, and the occasional ocean Sun Fish. Dolphins and seals have also been spotted. Spider Crabs, Edible crabs, Lobsters, Squat Lobsters, Scallops and Mussels abound, together with many flat fish including Turbot, Brill, Top Knot, Plaice, Lemon Sole and Rays. There are also many Snakelock Anemones, Nudibranchs and Pipefish, together with many types of seaweed and kelp, providing a kaleidoscope of colour in the spring and summer. Topside there is plenty to explore. The shipwreck museum, Bird Observatory, Lighthouse and Coastwatch as well as Portland Castle. Not to mention the numerous local inns offering local specialties of Sea Bass, Scallops and locally caught Lobsters, Plaice and Crabs. Dorset Apple Cake and local pasties are also a firm favourite, together with West Country Ice creams and Cream teas. 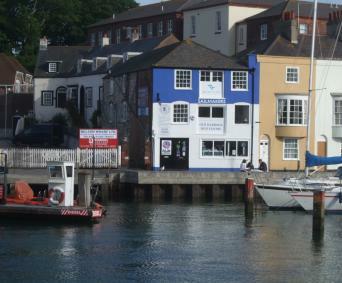 The Jurassic coast, of which Weymouth forms part, was awarded World Heritage Status. Accommodation Bed and Breakfast accommodation close to Old Harbour Dive Centre can be arranged in advance, together with pick-up from train station and airport transfers. Please click on any logo below to visit their website.